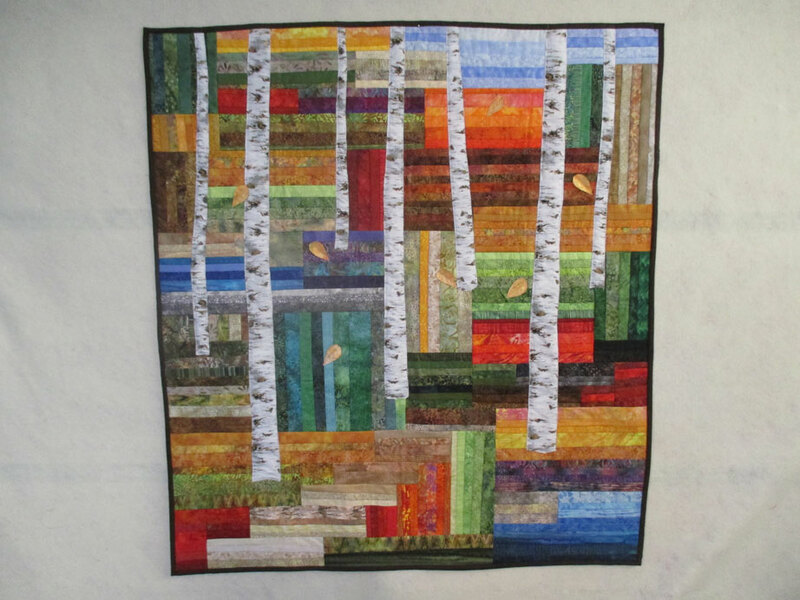 I have a passion for trees and I love the fall, so this quilt really appealed to me. 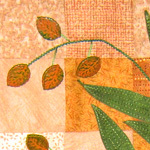 The inspiration came from a pattern I bought through Keepsake Quilting. 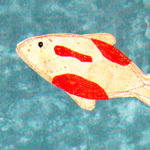 There are many changes from the original pattern. 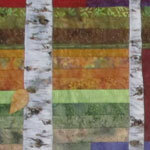 Ryco was able to get just the right fabric to make the trees. 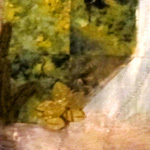 The leaves are three dimensional. I originally saw a quilt like this at the Sisters Outdoor Quilt Show a few years ago but was unable to find a pattern - so I did my own thing. On the flight home from Oregon, I brainstormed titles for the books so they would tell the story of my family. 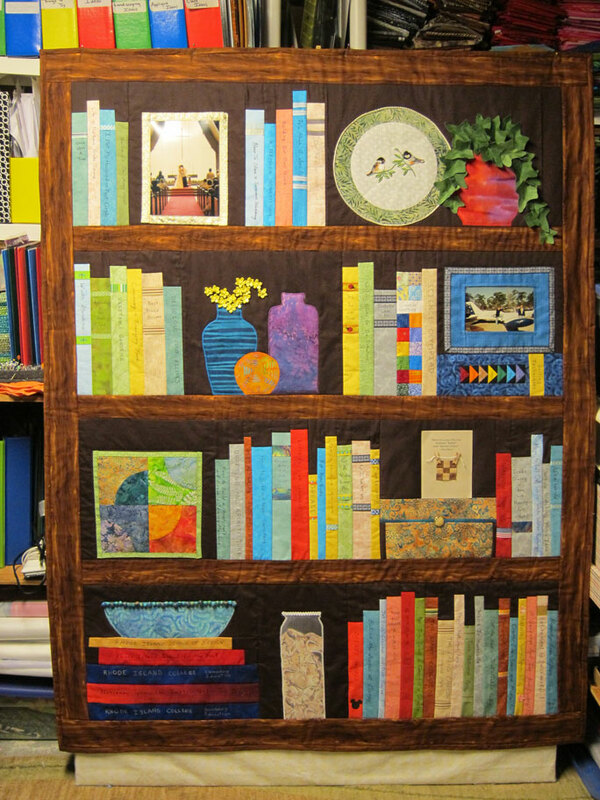 It was great fun to be creative and make up my own rules for this quilt. While my husband and I were traveling on our own in Alaska, we flew in a tiny four seat plane to Kennecott to tour an old copper mine site. 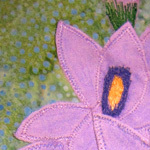 At the gift shop there I saw this beautiful quilt. As soon as we returned home, I bought the pattern book, Welcome to My Cabin by Nancy Smith and Lynda Milligan. I made our quilt in less than two months. If you look closely you will see that tiny airplane in the mountains. 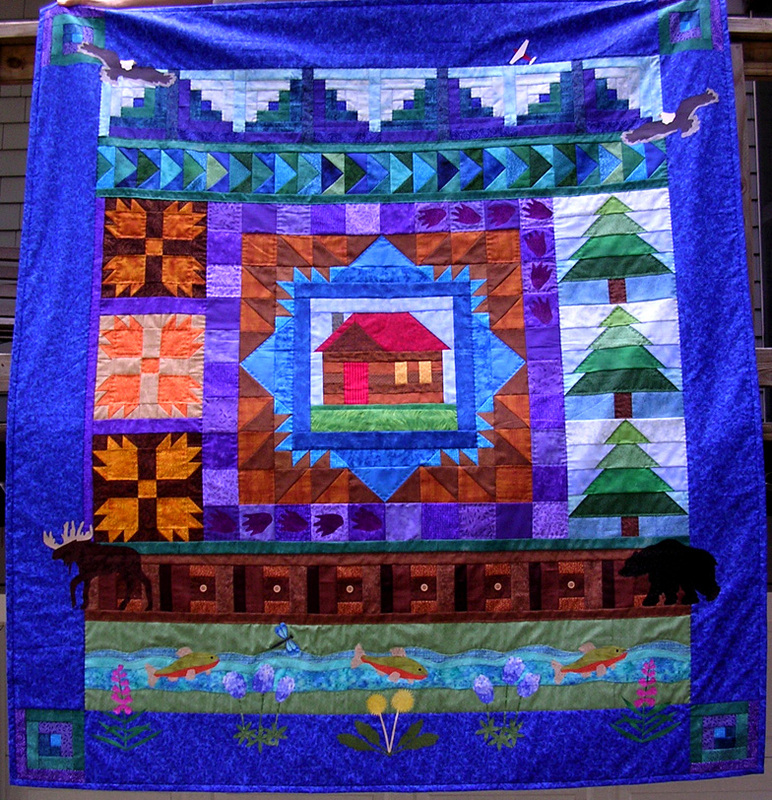 I made this as a housewarming quilt for a friend’s daughter who loves the outdoors. 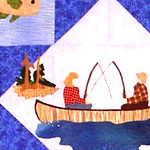 I designed the two people in the canoe to look like Sharon and her husband Kyle. 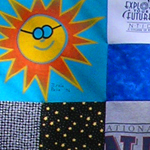 The T-shirts in this quilt belong to my son Jeff. They reflect some of his interests as he moved through Rhode Island School for the Deaf and Lincoln High School. He designed some of the shirts on the quilt. 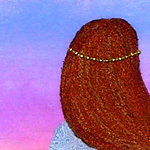 My original design is done with a fabric painted sunset, thread painted hair, and her dress and shawl are three dimensional. 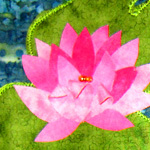 This original design was inspired by a weekend workshop I took with Christine Fries-Ureel. 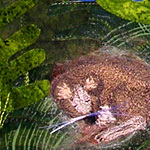 The sky and moon are fabric painted, the mouse is thread painted, and the plants are three dimensional. This is also an original design. 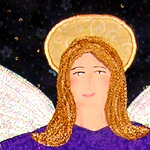 The hair is thread painted, the dress is three dimensional, and she has glittery wings. The hardest part for me was creating a series of faces for the students in my class. 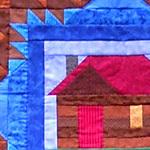 This quilt was the most exciting and rewarding project that I have created. 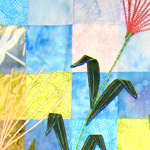 After years of trying to represent out water garden with fabric, this idea came to me while flying home from the Sisters Outdoor Quilt Show – a very inspiring place in Oregon. I allowed myself to experiment with any and all techniques I have ever learned….basically I allowed myself to play! The sergeant-major plant that has such interesting seed pods. These seed pods are buttons covered with brown paint. This was the most difficult block to do to get the right perspective. These fish refused to stay still long enough for me to get a good look at them. 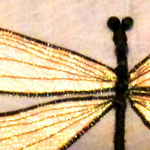 They are fabric painted and then highlighted with copper metallic thread. 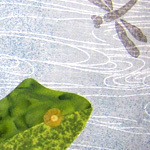 The pond has a number of frogs and it has a snake. You will notice that I did not put a snake into the quilt! It was fun to choose the beads for his body. 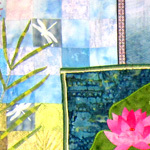 We get giant dragonflies around the pond. Our pond has a variety of tall grasses along the edge. 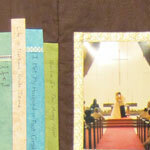 Choosing the individual background squares for this block took quite a while. I chose to use fabric paint for the sky and snow. 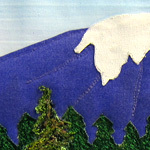 The thread painted pine trees are done with a free motion zigzag stitch.